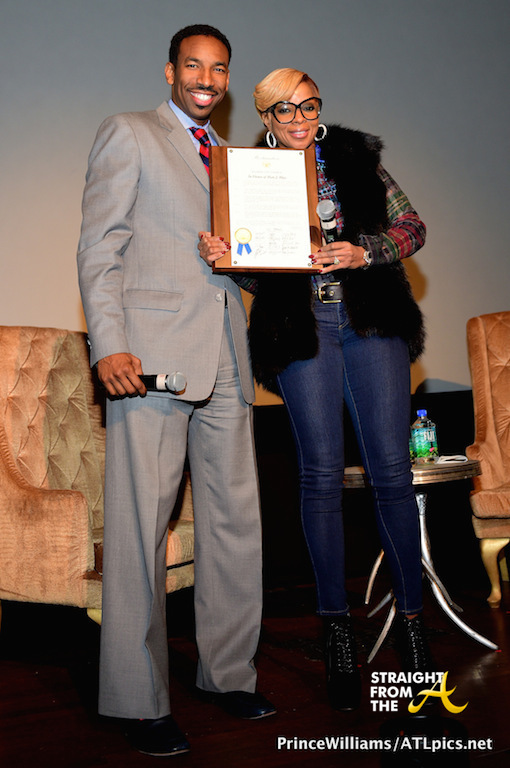 Superstar Mary J. Blige poses with Atlanta City Councilman Andre Dickens as she was presented with an honorary plaque from the City of Atlanta, thanking her for her musical achievements. Blige played host to a screening of her theatrical documentary, ‘The London Sessions,’ held at Buckhead Theatre in Atlanta last night (November 10, 2014). Our idea was to become part of London… to really embrace the culture – to really live in it. Not that I haven’t been there before, but I’ve never had the chance to really soak in it the way I have this time. To make records from the London-scene perspective. The music is free over here the way it used to be in the States. Artists are just free to do what they love. Listening to the radio you can hear the freedom. The music is living and breathing – you can hear that from Adele’s last album. It was massive – a big deal. But she did what she loved. 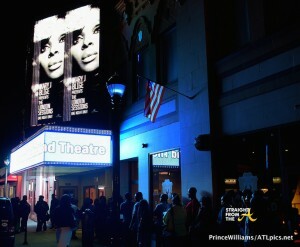 BET’s Stephen G. Hill hosted a Q&A session following the screening and other attendees included: Monyetta Shaw (Atlanta Exes), Nikko (Love & Hip Hop Atlanta), Shanti Das, Keinon Johnson (Interscope), Candice L. Byrd (Atlanta Mayor Kasim Reed’s Chief of Staff), and of course Kendu Isaacs, Mary’s hubby was there to show support.